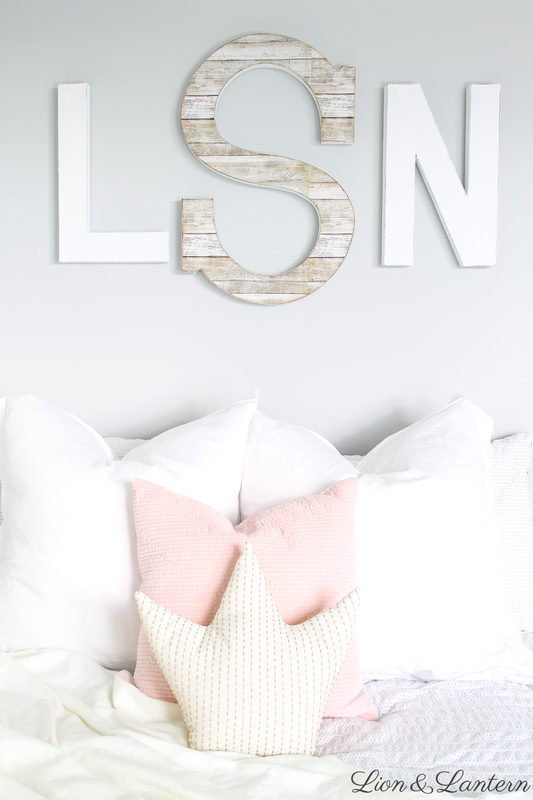 These custom nursery letters are made of lightweight paper mâché and safe for hanging above a crib or bed. They are pretty, versatile, and can be styled on a dresser, shelf, or wall with ease. A wood look adds texture and interest without risking safety. Hi friends! 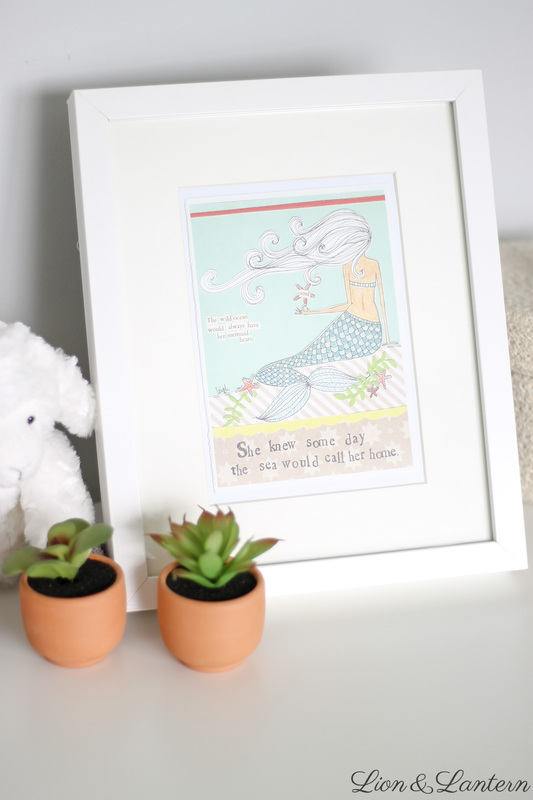 Today I’m excited to be sharing a simple update to our daughter’s nursery. 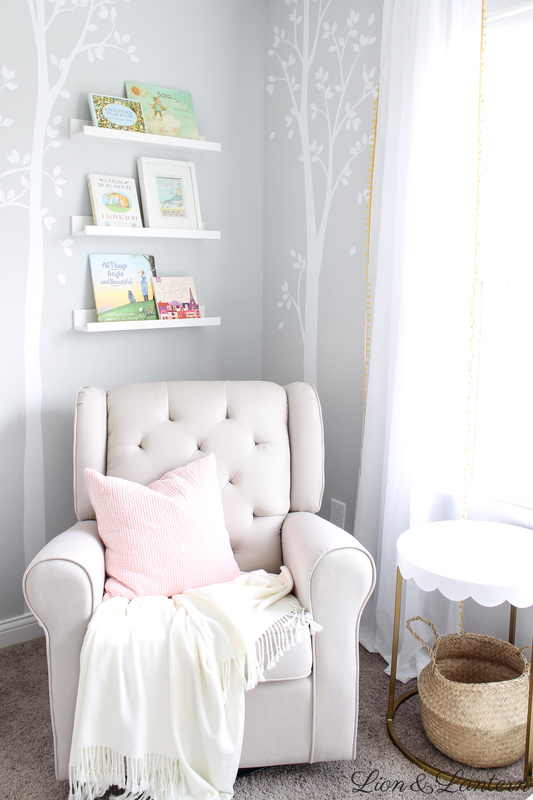 (You can see her original sweet and bright nursery tour here!) 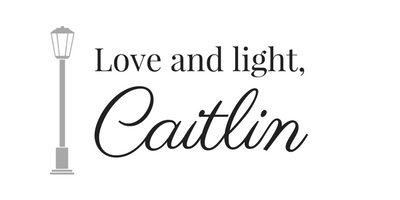 When Nancy from House of Crazi reached out to me about collaborating, I knew that her custom nursery letters would be perfect for Ladybug’s room. I selected a simple monogram and am so happy with the look! Not only do the letters blend with any design style, they are also lightweight and a safer alternative to wood and metal. 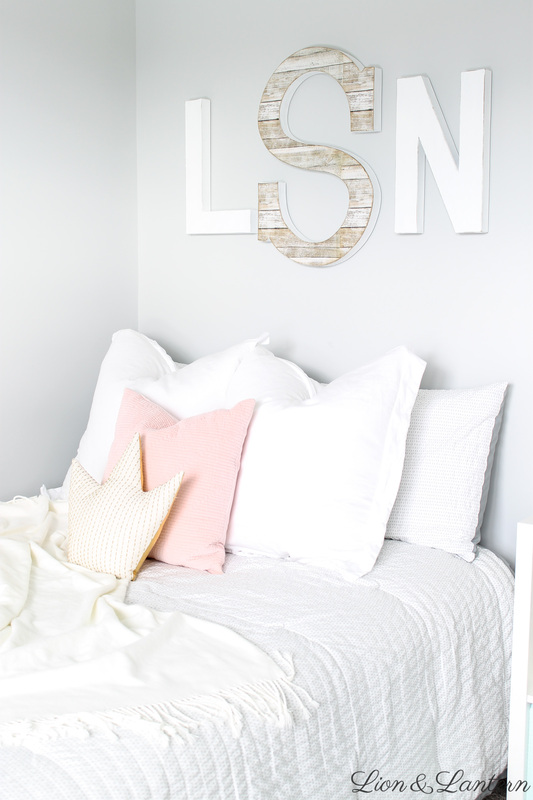 Keep reading for a bright, modern nursery tour with several styling options for these pretty letters. 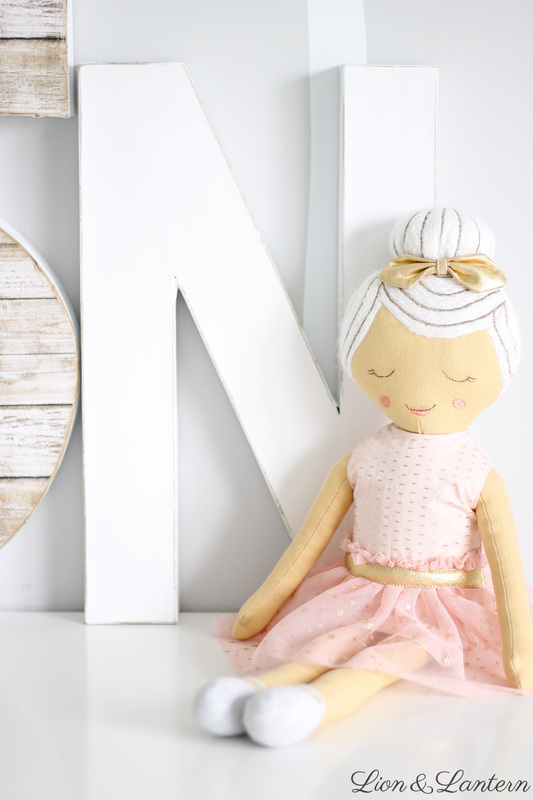 Thank you so much to Nancy from House of Crazi for providing this beautiful monogram for our nursery! As always, all opinions are my own. You can read my full disclosure policy here. When I received Ladybug’s* monogram in the mail, I began planning how to style it. Our nursery accomodates a spare bed in addition to the crib, and I had been looking for simple over-the-bed decor. (Since the crib is a temporary fixture, and Ladybug will eventually sleep in this bed, I designed the room around the bed rather than the crib.) I knew the monogram would be perfect wall decor, but decided to try styling them it the dresser first! The letters are thick and looked great on the dresser. They are painted on all sides, and the slightly distressed look on the edges of the white letters adds dimension and character. For now, we need to have our changing pad on the dresser, so this could not be a permanent home. Ultimately, I decided to hang the letters above the bed. *Side note: our daughter’s name is not actually Ladybug 😉 But it does start with an “L,” obviously! I am no perfectionist when it comes to hanging things, and usually begin without measuring, making several holes in the wall in the process 😉 However, that was not necessary in this case! These letters are lightweight (made of paper mâché) and can be hung with Command strips. Nancy has a short blog post with instructions here. It was so simple to apply the strips to the backs of the letters and press them against the wall. I began by attaching the center letter, and then pressed the outer letters onto the wall gently, stepping back to check the positioning. I was able to move them a few times until everything looked right, and then pressed them firmly against the wall. The letters have been hanging for several days, feel very secure, and I like knowing that I can remove them easily if I decide to style them elsewhere! 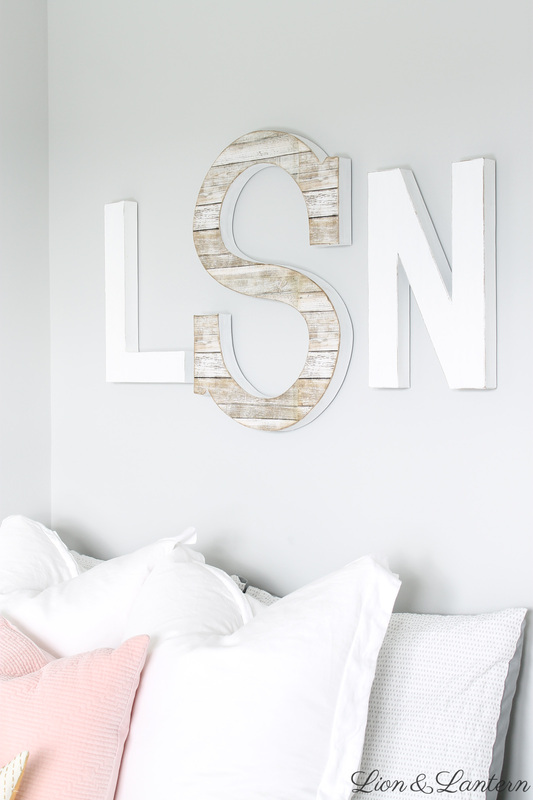 Decorative letters are a fun way to add a personal flair to your nursery (or home, or party! ), but many products may not be the best for use around children. 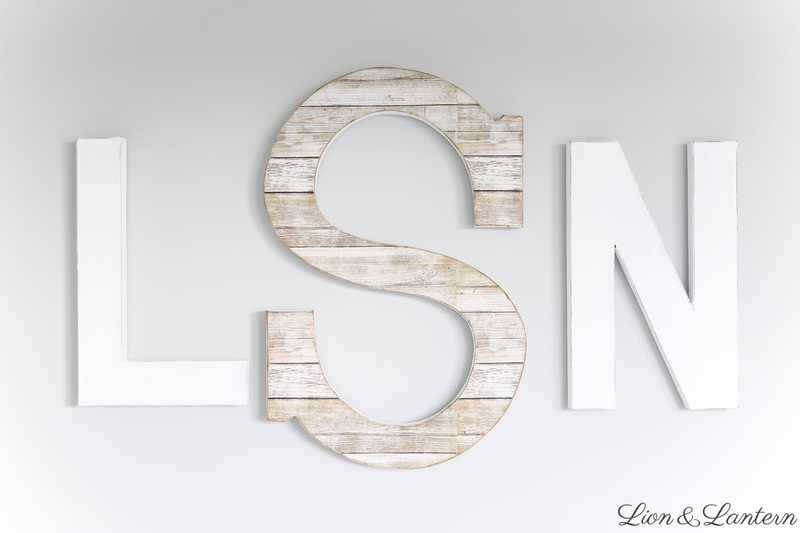 When decorating my son’s room several years ago, I purchased a galvanized metal initial for his room, thinking it would be a neat wall accent. However, I ultimately decided not to hang the letter because I felt concerned about the sharp, uneven edges and the weight of the product. When I received my House of Crazi letters in the mail, I was immediately impressed with their light weight. I also feel better knowing that they are made from non-toxic paints and recyclable materials. While I like the look of vintage metal or reclaimed wood, the truth is you never know exactly what chemicals or pests may be lingering. House of Crazi offers a safer alternative while still providing that vintage or reclaimed look. 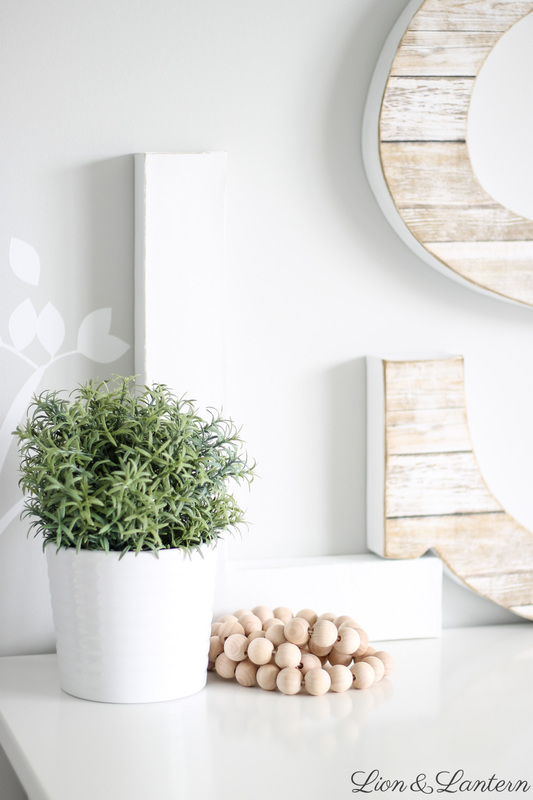 After spending so much time making sure our home is a safe and nurturing environment for our daughter, it just made sense that I would consider those aspects with her room decor as well. Designing Ladybug’s nursery has been such a joy. After our miscarriage last year, and then a challenging pregnancy, I am so thankful to retreat to this restful space with my daughter. Yes, there have been many sleepless nights, long days, and tears all around. There have been times when I felt like I couldn’t handle two kiddos, and times when I had to reach out for help because motherhood is both empowering and overwhelming, beautiful and burdensome. But in the quiet moments, when I am holding my daughter close in this sweet space, I can only be thankful–for health, for life, and for the daily gift of endurance. I am able to surrender my fear of uncertainty, and cherish quiet moments of peace and praise. Thank you so much for stopping by today, friends! 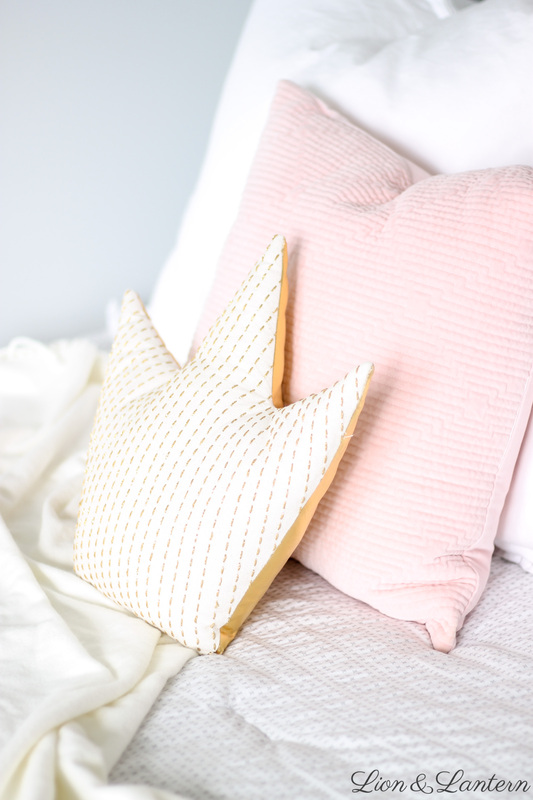 I loved sharing this sweet and simple nursery update with you. Be sure to check out House of Crazi for safe and stylish nursery letters and decor. 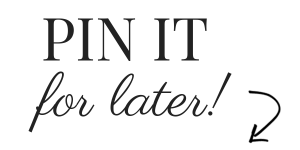 You can shop on the House of Crazi website, as well as on Etsy! 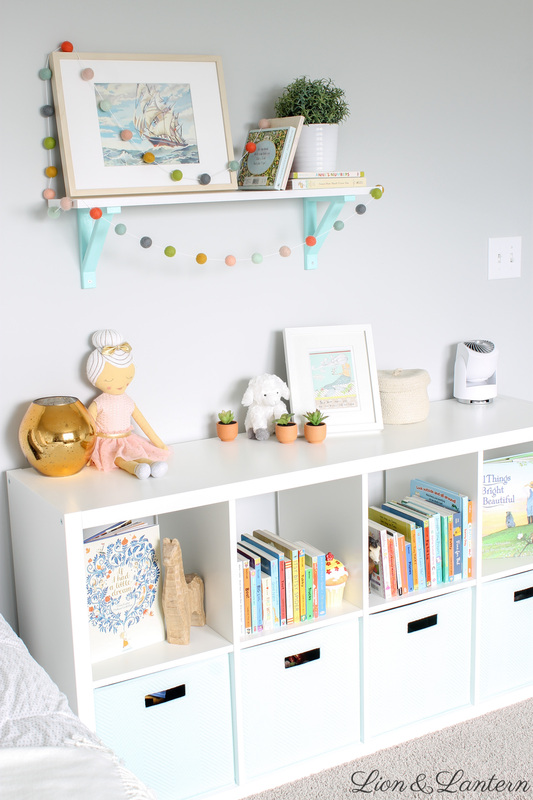 What are your favorite nursery or kid’s room decor items? I would love to hear in the comments below! They are lovely! They look very realistic, like they’re actually made of wood. And I love the fact that even if they fell from the wall, they wouldn’t hurt the kid. I’m very cautious with things that go on top of beds or a nursery and I’ve seen people put heavy objects and/or with sharp edges. It really scares me! I love the room, very cute colors!